Oasis Palmilla is yet another masterpiece created by Del Mar Development, the developers of the world renowned Villas Del Mar, Espiritu Del Mar, Las Casitas Altas and La Montana. Best known for its unmatched level of service for its residents, Del Mar Development’s attention to detail has made it’s communities the best the area has to offer. With sweeping ocean views, never-ending amenities and relaxed opulence, Oasis Palmilla is another slice of Baja California heaven. Oasis Palmilla is located near San Jose del Cabo at the southern tip of the Baja Peninsula in Mexico, within the exclusive 900+ acre Palmilla master-planned community. This spectacular site, sits above the Sea of Cortez and the world famous One&Only Palmilla resort hotel. The homesites are configured around the 27 hole signature golf course designed by Jack Nicklaus, natural desert arroyos, scenic mountains and rock outcrops. An extensive trail system connects community residents to parks, village retail and the exclusive Club Ninety Six beach club. 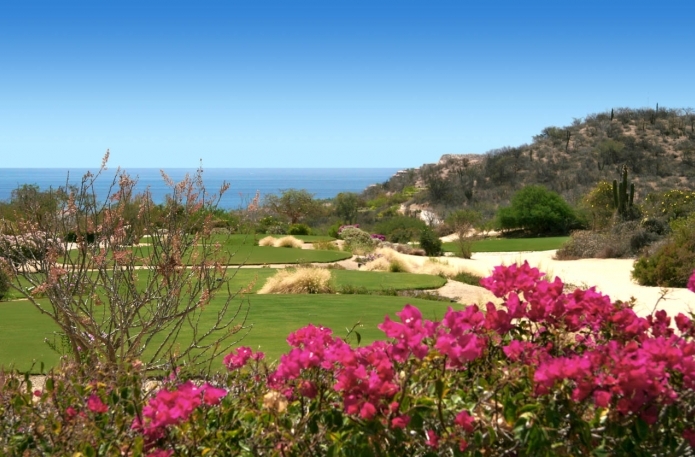 The character and theme for the community is “Mexican Coastal Ranch”. The primary features that form this character include curvilinear streets, enhanced native desert landscapes, soft surface trails and “Mexican Coastal Ranch” architectural themes that include intimate landscaped courtyards, wide roof overhangs, barrel-tile on shaped roofs, verandas, arcades, traditional decorative Mexican tile and native stone. This one of a kind oasis consists of 40 homesites ranging in size from .6 acres to 1.7 acres.